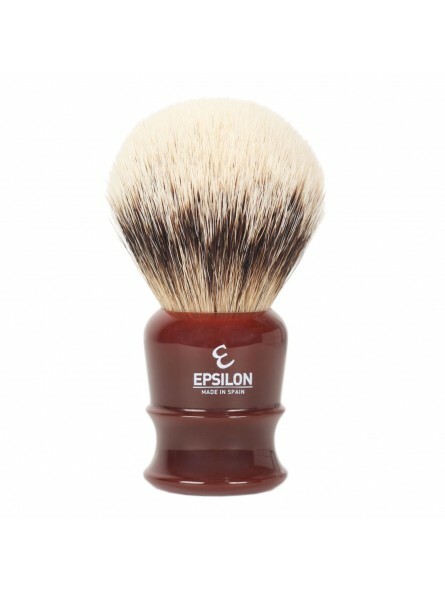 Epsilon Silvertip shaving brush is handmade in Spain. 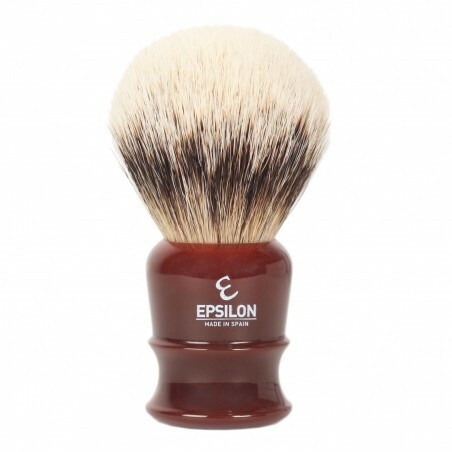 The 2nd Generation of Epsilon Shaving Brushes is now available. Epsilon Shaving Brushes come in different hair types, lofts and shapes to allow wet shave lovers choose the one that best suits their different needs. Longer lofts for those who enjoy bowl lathering their shaving cream or soap, shorter lofts for those who prefer face lathering or for those who use hard shaving soaps. Silvertip hair, is the highest quality hair that can be used in a shaving brush. Its main characteristic is the amazing softness of the tips. It's the rarest and most expensive hair that comes from the animal's neck. Vie-long silver tip hair is the one of the softest hairs on the market. Hair is selected and weighed one by one and then the brushes are shaped by hand. Handle – Burgundy (wine colour) handle.